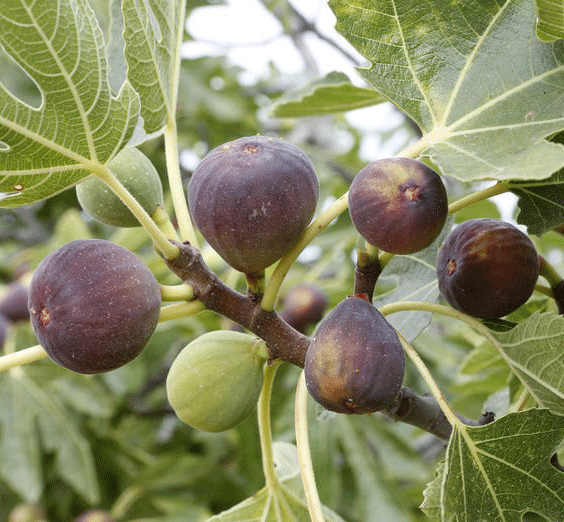 The fig tree is a deciduous tree growing to approx. 3 metres in height, and 5 metres in width of its canopy. It prefers a Mediterranean climate which means most areas of Australia is good for growing. Flowers on the fig are actually inside the fruit. The pulp is made up of little flowers. The black genoa produces large figs with a purple skin and rich red flesh.